Planning Your Garden is the Fun Part! 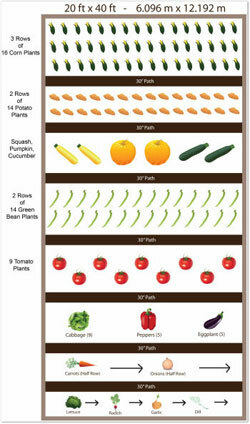 Need some help planning a vegetable garden? 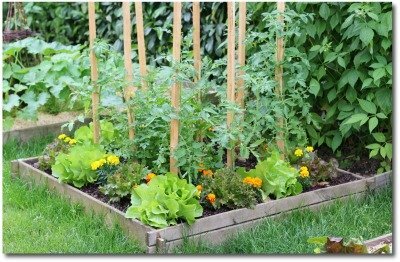 We offer lots of great tips for growing a raised bed, container, or backyard vegetable garden! Many of us are planting a vegetable garden for the first time. With the shaky economy, there are folks who have never even picked up a trowel before, (it’s a little garden tool resembling a spade:) that are going back to their roots! Planting and growing your own vegetables saves money, is a relaxing hobby, and provides your family with nutritious meals. 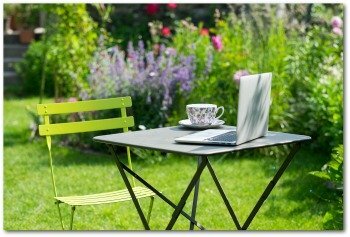 Use our free online Garden Planner software to help plan your garden. It's really easy to use; just drag and drop the vegetables you choose into your garden grid. 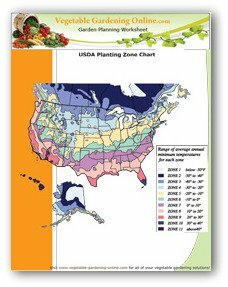 Download our free zone chart and planting guide to help plan a garden that works for you! 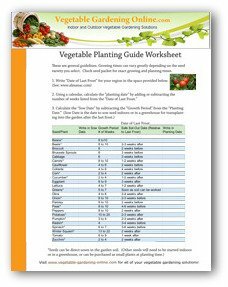 We have many free vegetable garden plans that you can download to start planning your garden. Your first vegetable garden can be anything from a container garden, raised bed, or vertical garden, to a traditional in-ground vegetable garden. 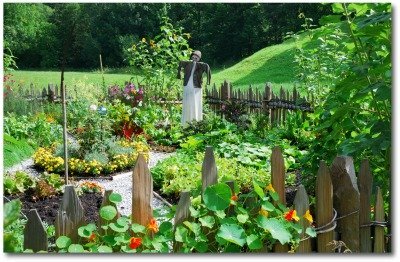 Growing tomatoes, lettuce, cucumbers, broccoli and more is all possible in a small home vegetable garden. It is best to start with a small vegetable garden plan, that will be easily accomplished. Take it one step at a time, and soon you too will be an experienced gardener! So many people now have grown accustomed to working extremely long hours, eating their meals on the go, and being home so infrequently that their own dog growls at them! Now is a good time to slow down and take some time planning a vegetable garden. 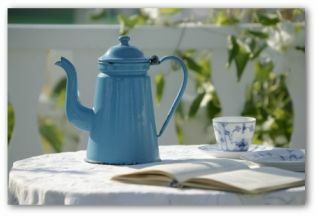 Have a cup of coffee or tea, and start jotting down ideas for your garden. Lay out a plan that will take the most advantage of the land or space you have available. 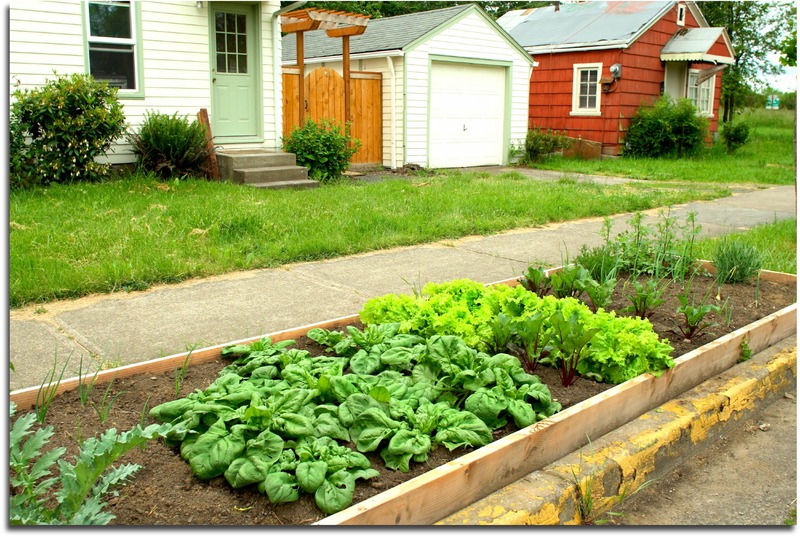 For instance, if there is a slope in your yard, you create a series of terrace type gardens. Place plants with similar water, fertilizer, and sun exposure requirements together when planning a vegetable garden layout. 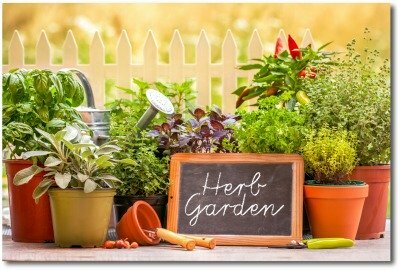 If you don't have a backyard or plot of land available, try your hand a growing a potted or container vegetable garden on your porch, balcony, deck or patio. This type of garden is the most simple to plant and maintain, for the first-time gardener. When planting a vegetable garden, when possible purchase local vegetable varieties because these plants are already adapted to your climate conditions. Purchasing companion plants is also a good idea. For example, basil is a great companion for tomatoes and peppers. Marigold planted near plants is known to repel insects. Whichever type of garden you choose, locate your vegetable garden in full sun. Train and trellis vine plants such as cucumber and squash to grow upwards to receive maximum production and save valuable gardening space. Plan to use mulch, brick, or stepping stones to form paths to the plantings. Plant perennials or low growing shrubs as borders, preventing run-offs and weeds. Avoid planting near big trees that will block the sunlight and take the water away from your garden. Ask questions of successful growers in your neighborhood about which plants and growing techniques work best for them. When planning a vegetable garden, visit nurseries to see what plants are available. Shop online for vegetable seed packets that you are interested in trying! When Planning a Garden, Grow What You Like to Eat! Be Sure to Grow Your Favorites! Do your homework and research growing seasons in the area where you live. Although, do not be afraid to go out on a limb and try to grow different plants from your neighbors. With proper planning and regular maintenance, folks will be asking for your gardening tips! Plan the design with the types of food your family likes and dislikes in mind. If everyone in your household turn green when you serve turnips, then save the garden space and plant a vegetable they will enjoy. Check for compacted soil in preparation for planning a vegetable garden. Using a screwdriver, if you cannot punch it into the ground easily, the garden site needs to be aerated. Break the soil up with a garden hoe. Blend the soil with an added one-third peat moss and compost. Don't Forget Herbs, Greens, and Colorful Flowers! 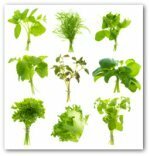 Do not overlook putting herbs in your vegetable garden plan. With herbs, root-forming vegetables, and leafy greens, harvest time is just around the corner from the best-laid plans. It is excellent planning to have tender greens just a few weeks old to serve at the dinner table. Greens are edible nearly from the start of planting. Add a few colorful pots of flowers to your container garden or in-ground garden to add some sparkle and eye-appeal. 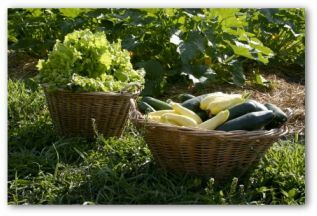 An important part of gardening for beginners to remember when planning a vegetable garden, is that it is trial, error, and success. Do not be discouraged if for example, if your first year of squash never produces. Pick a new spot when you start planning a vegetable garden next season and try again! Even the most experienced gardeners learn from their garden each year. Last year for example, several gardeners in their late 80's told me that this was their best crop of tomatoes ever! 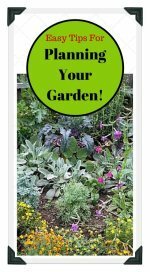 Weather patterns will have an impact on your garden, as well as a few insects and pests which happen thru your neighborhood at just the wrong time! Gardening teaches patience and determination, and the rewards are usually abundant.